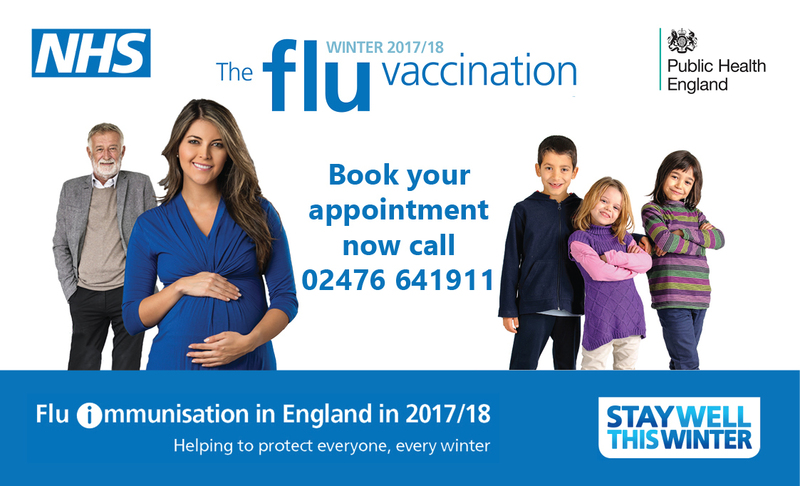 2017/18 Flu vaccinations available now! It’s flu vaccine time again……. Flu vaccinations are available at the surgery now, please call 02476 641911 to book your appointment. We are running open flu clinics, which means no appointment necessary. You can drop in at any time. Please note that queue times may vary due to this. Alternatively, if this is not convenient for you, you can call reception to book an appointment. Hypertension alone is not enough. Click here to check if you are in an at risk group and to find out more about flu and the vaccination. If you are in doubt please ask!